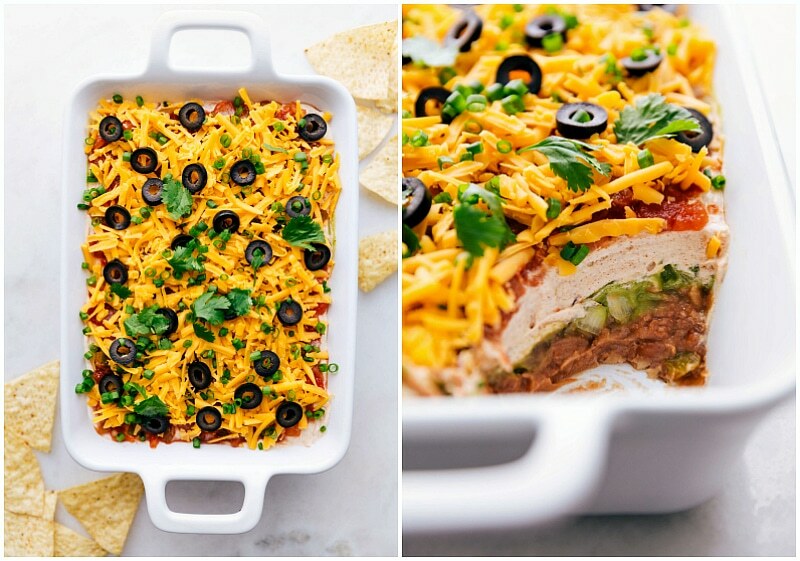 This 7 Layer Bean Dip is the ultimate game-day/party food. It’s packed with delicious flavors and is so easy to assemble. As game day approaches, there’s nothing better than easy and delicious appetizers and finger foods! 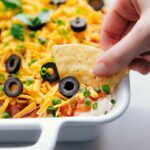 This 7 layer dip can be made ahead of time, goes great with chips and/or veggie sticks, and it’s a relatively healthy game day appetizer. Of all the appetizers out there, a good 7 layer bean dip has always been one of my favorites. Growing up, my mom used to make this dip all the time. She’d make 2-3 separate dips, place them in the center of the snack-bar, and all 9 of us would crowd around the dips and eat them for lunch or dinner. We were never patient enough to spoon out the dip onto individual plates, it was just grab chips and GO before it’s all gone! 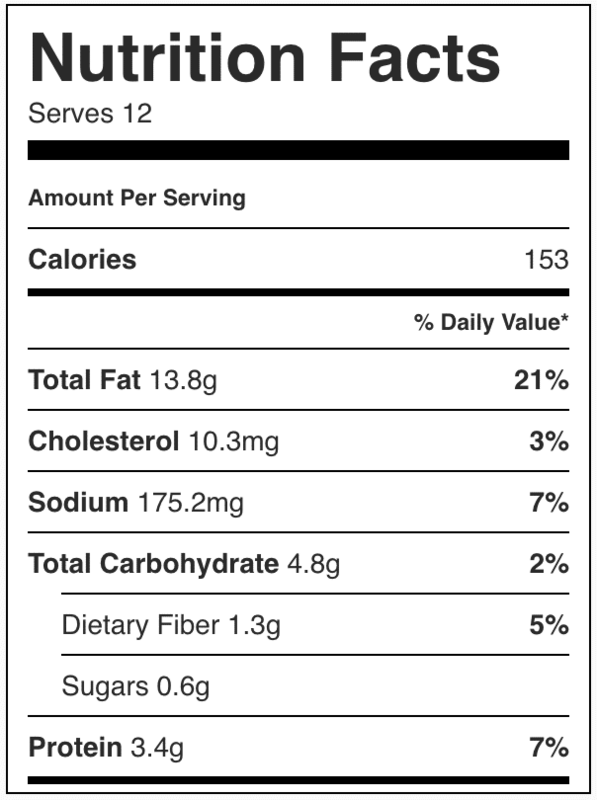 What comes in a 7 layer dip? Refried Beans: I mix these with some salsa to amp up the flavor! Green Onions/Fresh Cilantro: a few fresh herbs add so much to this dish — use one or the other OR both! How do you make 7 layer bean dip? Put a cup of salsa in a sieve to get extra liquid out to keep the dip from getting soggy. Add the remaining salsa to your refried beans and mix it together. This will be your base level. 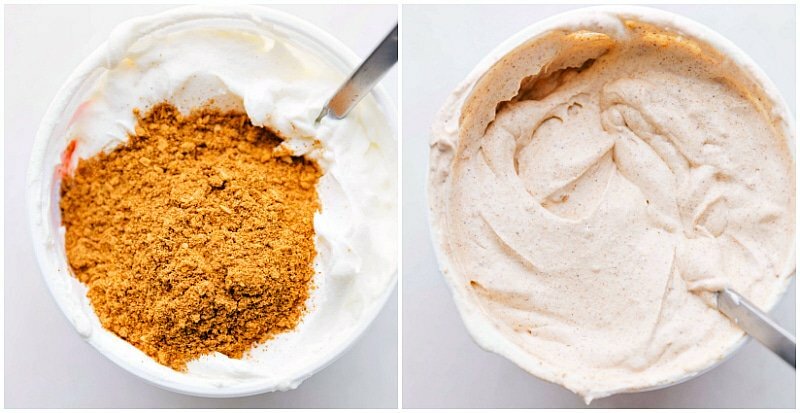 Add your taco seasoning mix directly into your container of sour cream and mix in there (so you don’t have to dirty another bowl). Add the cup of salsa you set aside on top of your layer of sour cream. Make sure you have your favorite tortilla chips and get ready to dip! Do you warm up 7 layer dip? 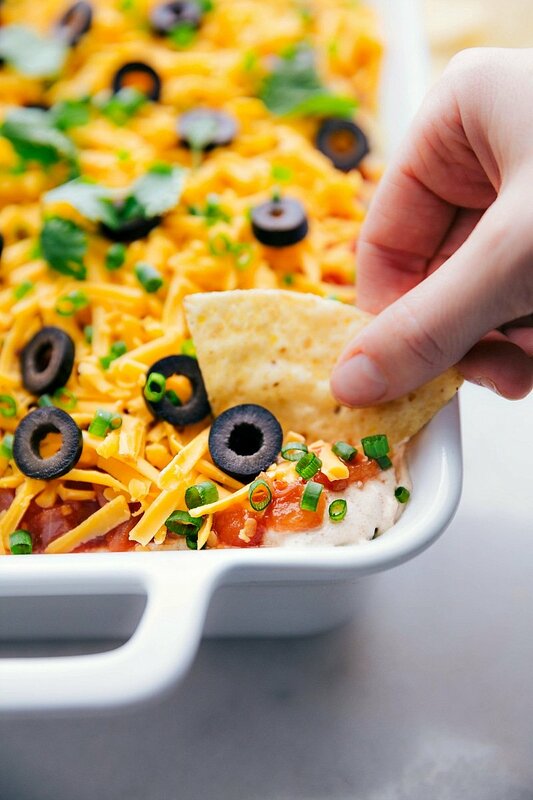 This 7 layer bean dip is served cold which makes it the perfect make ahead dip! It’s also a refreshing appetizer to serve alongside all the hot dips or freshly baked sliders. (For a baked version of a 7 layer bean dip, check out this recipe). This 7 Layer Bean Dip is the ultimate game-day/party food OR fun lunch. It's packed with delicious flavors and it's so easy to assemble. Remove 1 cup salsa and place in a fine mesh sieve over the sink to drain. This will keep your dip from getting soggy. Stir remaining salsa and refried beans together and spread mixture in an 8 x 8 or 9 x 9 casserole or 2 quart baking dish. Top with guacamole. Stir together sour cream and seasoning mix in small bowl. Spread over guacamole.